For a region the size of Connecticut, Puerto Rico packs a big punch when it comes to its contribution to world agriculture. Many people are unaware, that the 5,335-square-mile commonwealth is the research and development headquarters for up to 85 percent of the commercial corn, soybean and other hybrid seeds grown in the U.S. It is part of a biotech industry that has been thriving for 35 years. 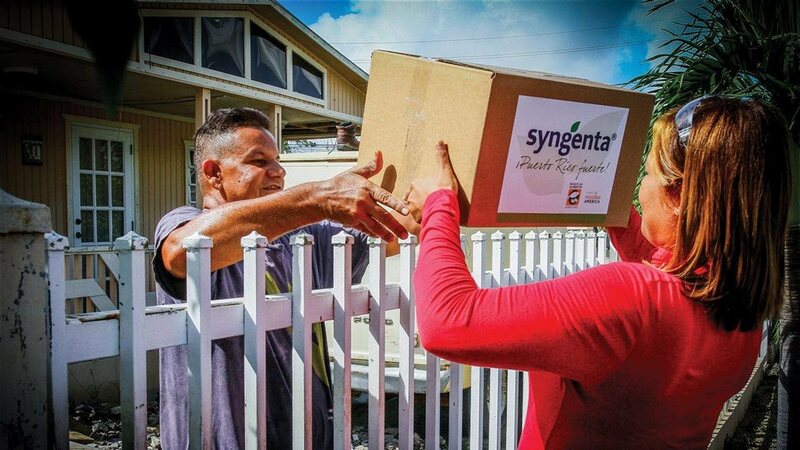 “Puerto Rico is, in many cases, the first and most important location for the development of new crops,” notes Liliana Sánchez Cortés, a site manager for global agrochemical and seed producer Syngenta. The nation’s importance to the food chain is partly why that firm was so quick to help after Hurricane Maria destroyed an estimated 80 percent of the nation’s crop value last September. The storm ruined $780 million worth of agriculture yields, while knocking down structures and landscapes nationwide. The agribusiness firm operates three research farms in the commonwealth and employs 45 people — three of whom lost their homes in the storm. In response to the crisis, a cross-departmental Syngenta team from Wisconsin organized airlifts of emergency supplies, including generators, satellite phones and 220,000 pounds of food, water and household goods. The company also donated $200,000 to a local food bank and contributed new pollen sources for the region’s bees. Much of the world’s hybrid seed has been grown or processed in Puerto Rico’s nursery systems. Syngenta analysts estimate its new soybean varieties would take two to three more years to develop without Puerto Rico’s facilities. Thanks to its unique climate allowing for 52 weeks of planting and harvesting, the region’s environment is ideal for seed R&D protocols. Because of the nation’s efficient and expedited plant-breeding programs, researchers can use data from fall crops to develop new hybrid and variety combinations that can be planted the following spring. The ag biotech industry there brings in more than $65 million in net benefits to the local economy, and analysts say the inter-industry multiplier effect stretches that amount to nearly $135 million. This year, some 860,000 people there are employed in the ag trade, according to Statista.com. Though the hurricane hit at a critical time between growing seasons, Syngenta has since been able to repair flood and structural damage at its facilities, replant seedlings and hire temporary employees to fill in for those seeking sanctuary. To learn more, visit SyngentaThrive.com.